Notes from Feb. 13th’s weekly rally & meeting at the senators’ staffers in Seattle. This page updated 3pm Wednesday. This week’s rally: 36:25. Last week: notes & rally: 30:56. FAQs & Archive. No meeting next week (2/20): the staffers have other meetings. One of our participants shared cards for us to sign to give Kate and Tommy at our meeting this week! Q13 and King 5 News were at our rally this week! HR. 63: Supporting efforts to enact a bold jobs and infrastructure package that benefits all Americans, not just billionaires. Concurrent Resolution 63 was highlighted at the rally this week. Our council members wrote a letter to all of Washington’s Federal Representatives in support of the resolution. In the Health Education Labor and Pensions Committee, they are working on Reauthorizing the Higher Education Act: Improving College Affordability. Sen. Murray is the ranking member of the committee, meaning that she is the most senior of the minority (Democrat) party. More about the re-authorization: NASFAA.org. The February 6th hearing: 2hr 6min. “Sen. Lamar Alexander (R-Tenn.), chairman of the Senate education committee, today released a staff white paper and asked for feedback on federal accountability concepts and proposals to ensure that students at our 6,000 colleges and universities are receiving degrees worth their time and money.”: HELP.Senate.gov. Sen. Murray’s press release: “Unfortunately, the principles from Chairman Alexander would move us in the wrong direction and make it very clear we have some serious and tough issues to work through”: HELP.Senate.gov. More about the bill: InsideHigherEd.com. Please note: “The president’s budget request is always considered dead on arrival in Congress,”: WaPo. It will take about two weeks for the budget to become a bill. They will make many changes. It would “boost both domestic and military spending by $300 billion … (and) add $984 billion to the federal deficit next year, despite proposed cuts to programs like Medicare and food stamps and despite leaner budgets across federal agencies, including the Environmental Protection Agency.”: NYTimes.com. About the ‘wall’: “Included in the budget is $18 billion across two years for constructing a border wall and $782 million to hire 2,750 additional personnel at US Customs and Border Protection and Immigration and Customs Enforcement”: CNN.com. “proposed budget cuts spending by more than 65 percent for a research office on renewable energy and efficiency … it calls for a more than 19 percent boost to the fossil energy research and development office to $502 million for making advanced power systems based on fossil fuels like coal and natural gas more efficient … a nearly $1.2 billion hike … for a revamp of the United States nuclear weapons arsenal.”: Reuters.com. Community Development Block Grant Programs would be cut according to the White House budget: HUD.gov. “The infrastructure plan … envisions selling off government-owned assets, such as airports and highways, if agencies think that private operation of the facilities would help taxpayers … ‘I will not support legislation that attempts to use smoke screens and fake math to privatize projects and enrich Wall Street,’ Sen. Patty Murray, D-Wash., said in a statement.”: SeattleTimes.com. Mulvaney Wouldn’t Vote For It! “Mick Mulvaney, President Donald Trump’s budget director, told lawmakers at a Senate budget hearing Tuesday that if he were still in Congress, he would not vote for the $4.4 trillion proposal he was presenting … Murray later tweeted that ‘it was nice to hear an honest answer’ from Mulvaney in the budget hearing.” NBCNews.com. Supplemental Nutrition Assistance Program, formerly food stamps: FNS.USDA.gov. The SNAP Program is funded through the FARM Bill, which is due to be re-authorized in 2019 by Congress: NIFA.USDA.gov. Original bill, HR. 2642. “Trump administration’s proposal to replace nearly half of poor Americans’ monthly cash benefits with a box of food. It would affect households that receive at least $90 a month in food stamps, or roughly 38 million people.”: Money.CNN.com. Unless there is a change to the FARM Bill, it would continue to serve people when re-authorized. TIGER: “A program popular with state and local agencies that provides federal infrastructure grants would be denied funding”: TTNews.com. It has funds for water infrastructure and roads – but we also need to think of climate change (which was big in 2000). We can’t waste time on the stupid bill; Don’t take it seriously. We need a blue wave. We need public transport. It doesn’t matter if the bill gives us toll roads. We need to stop driving. The lack of public transit disproportionately affects poor and people of color. We need to go with the North American Free Trade Agreement: NAFTANow.org. Senator Cantwell voted against the Continuing Resolution on February 9th. It was HR. 1892: Bipartisan Budget Act of 2018. It funds the government through March 23rd: CRFB.org. Dec. 21: Murray: no; Cantwell: no. Passed 66-32. Their votes: Senate.gov. Jan. 22: Murray: yes; Cantwell: yes. Passed 81-18. Their votes: Senate.gov. Feb. 9: Murray: yes; Cantwell: no. Passed 71-28. Their votes: Senate.gov. CRs provide budget for the government to function for a couple of weeks or a month, depending on what they agree: and a budget would be for the year. Nancy Pelosi had asked senators to vote against it and shut down the government unless we have a dream act in place. The DREAM Act: the Senate bill: S. 1615 the House bill: HR. 3440. “The chamber approved, by voice vote Wednesday morning, a motion to proceed to the expected legislative vehicle for an immigration overhaul.”: RollCall.com. Follow Senate Cloakroom on Twitter for updates. The bill that they have started putting together amendments for is a starting point. It will take most of this week’s time. The final version will only include amendments approved by Sen. McConnell. They will probably be bipartisan because they will need 60 votes for it to become law. Sen. Cantwell is about to introduce a bill to address the opioid crisis. 2/15/18 update: Sens. Cantwell & Harris’s press release about the opioid bill. “Proposed attack on disability rights ‘misguided, harmful, and an embarrassment'”: HELP.Senate.gov. This is unlikely to pass the House, but we ask our senators to block it if it makes it to the Senate. Sen. Cantwell does not comment on House legislation: because the chance of it getting to the Senate is slim, especially if it would not go to her specific committees. Also, if it is not in the Senate, she can’t cosponsor it. There is a weak argument from opponents of ADA bills that small and minority companies may be hurt by them. Under the Obama administration, it wasn’t possible to get a lease to drill off shore. “Bob Ferguson announced today he will lead a ‘Save Our Coast’ hike along the stunning northern Pacific Coast of Washington this summer to protest the Trump Administration’s offshore oil drilling proposal.”: ATG.WA.gov. Our AG is threatening to sue the Federal government: SeattleTimes.com. Can our senators please protect us from the nuclear threat? We have no protection from North Korea: and our president is threatening its president. There is a bill to stop the president making a first nuclear strike: S.200. Our senators are not cosponsors. It Happened. Details, and what to focus on. Illinois saying that it was hacked: ChicagoTribune.com. It is still the responsibility of each state to maintain its voting systems according to the Constitution. The Doomsday Clock just ticked closer to midnight: USAToday.com. The ruling against net neutrality from the FCC was on Dec. 14th 2017: TechCrunch.com. It doesn’t take effect until it is registered in the Federal Register: FederalRegister.gov. Will It Be Taken From Us? 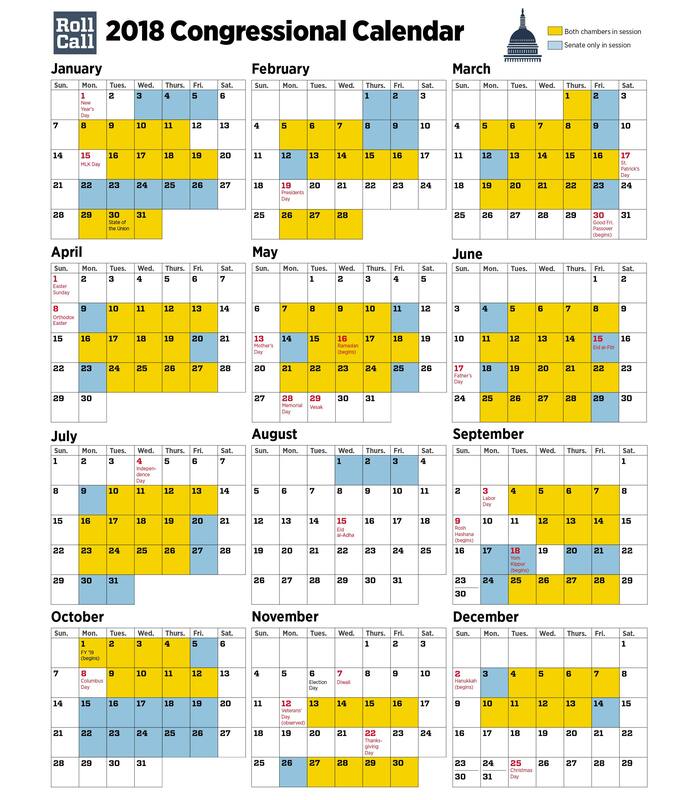 “Once a rule is … repealed, … Congress has a window of time lasting 60 legislative days (i.e., days that Congress is actually in session, rather than simple calendar days) to disapprove of any given rule by simple majority vote”: Wikipedia.org & TechCrunch.com. This means bringing a resolution of disapproval to the vote. The Senate is “one Republican vote shy of the 51 required to pass a Senate resolution of disapproval, in a legislative gambit aimed at restoring the agency’s net neutrality rules.” WaPo. How many legislative days are we in to this? 2 In 2017: there were 2 days (including Dec. 14, when the vote was cast): NALC.org. = 31 legislative days in. 29 to go. As of 1/16/18, “More than 20 states are suing the FCC over its net neutrality decision”: WaPo.